I’m normally not into really sweet smelling perfumes and prefer clean or musky scents until I fell in love with Victoria’s Secret Soft & Dreamy perfume. It’s described as a soft blend of dreamy meringue and whipped cream and really does smell ‘soft and dreamy’. It kind of reminds of cotton candy or how clouds would smell if they had a scent. I’ve heard that this perfume smells exactly like Aquolina’s Pink Sugar perfume for a fraction of the price. I’m a sucker for pretty bottles and the square 2.5 fl oz bottle is clear with PINK in bold letters on the front and has an adorable plaid design that comes through from the back. What’s even better is that a bottle is only $20.00. Most scents fade on me quickly and I’ve worn everything from Chanel No. 5 to Donna Karan’s Cashmere Mist which smell amazing but are super expensive. Which is why I decided to start wearing more affordable perfumes, why waste all of that money on a perfume that doesn’t last. 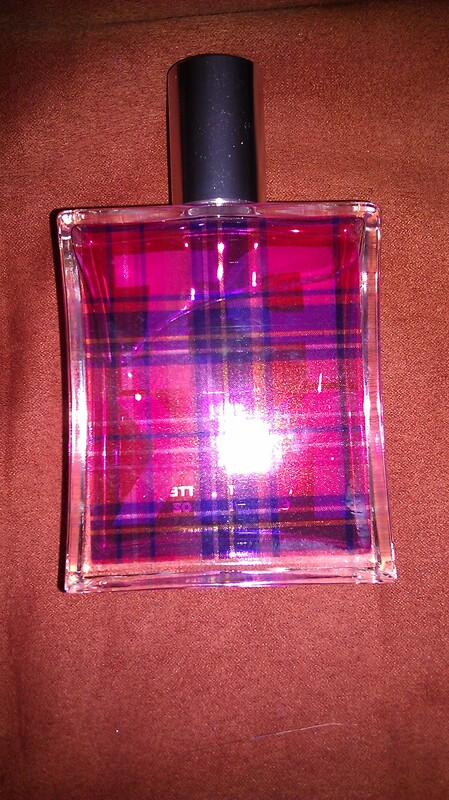 What’s funny is I can smell Soft & Dreamy all day when I put it on. Victoria’s Secret Pink has a bunch of other scents with uniquely designed bottles. They all have cute names like Sweet & flirty, Fresh & Clean, Pretty & Pure, and more. For the price, it’s definitely worth trying out. What’s your favorite scent by Victoria’s Secret?